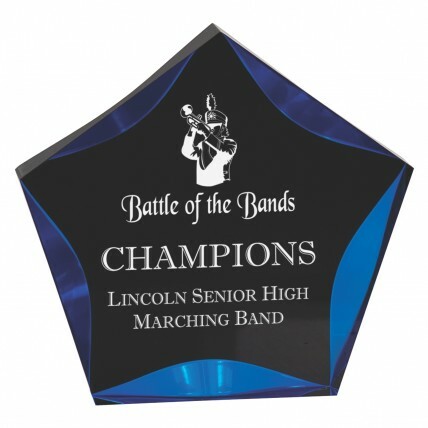 With a celestial shape, these Blue Luminary Black Star Acrylic Award are beautiful and fun! Made of black acrylic with blue accents, these awards have a mirrored luminary look that practically shines! Choose from 3 sizes and create the best awards for your next ceremony. Engraving included for free!